As for Russian studies on this topic, we are forced to state that there are very few of these studies. In my report I would like to: 1) give a review of the early ethics of Husserl; 2) state a hypothesis about the complementarity of Husserl’s ethics and metaphysics. (1) So let me start with a review. Firstly Husserl’s ethics as a whole is represented by two stages: early ethics (characterized by formalism) and late ethics (characterized by subjectivism). Next we will only talk about early ethics. The principle of the parallelism of logic and ethics. 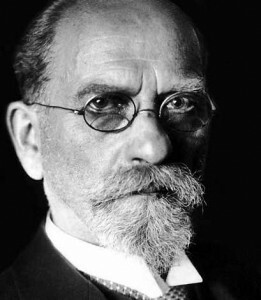 The theoretical basis of this principle are those metaphysical foundations that Husserl laid in 2 and 3 chapters of “Ideas Pertaining to a Pure Phenomenology and to a Phenomenological Philosophy.” If we go from the metaphysical level (or the theoretical level) to the disciplinary level, then in the Lectures on Ethics we can see arguments about the parallelism of logic (as a discipline studying the theoretical mind) and ethics (as a discipline studying practical reason). Thus ethics as a discipline must receive the outlines of logic as discipline. What does Husserl do for this? First, he makes formal disciplines in his ethics: formal practice and formal axiology, as well as the phenomenology of the will. Secondly, Husserl constructs (very schematically) examples of ethical laws. Thirdly, like logic, ethics must have a number of competences (epistemological character) for: a) eliminating ethical relativism; b) analyzing and normative “revision” of all human practices, for this Husserl discovers ethics as a “technical doctrine” (Kunstlehre), giving it the normative character in which, in fact, denied logic. (2) In order to state the essence of the assumption about the interdependence of the ethics and metaphysics of Husserl, we need to return to the theoretical premises stated above from the “Ideas”. In the chapter “Phenomenology of Reason” Husserl speaks of the intertwining of three kinds of mind (theoretical, axiological, practical) and the analogous structure of the noetic-noematic structures of these kinds of mind. I would like to show that Husserl continues the tradition (Kant, etc.) of deducing morality from metaphysics. In addition, I would like to point out the difficulties that arise from such an approach: clarify the concept of parallelism (Parallelism) and the interweaveness (Verflechtung) that Husserl uses in relation to the types of intelligence he allocates.